Copyright �2006 PopEntertainment.com. All rights reserved. Posted: August 16, 2006. Grant-Lee Phillips was the next big thing for so long that now it almost seems fascinating that he has been able to stay so humble. 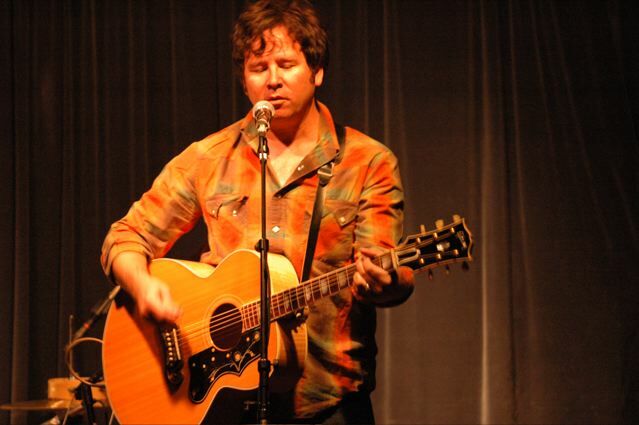 As the leader of Grant Lee Buffalo � one of the 90s big buzz bands that never quite seemed to explode � Phillips was pictured as the face of indie rock on a major label. Buffalo released four albums for Slash/Warner Bros. in the decade, including Fuzzy (1993), Mighty Joe Moon (1994), Copperopolis (1996) and Jubilee (1999). However, except for a couple of minor hit singles with �Fuzzy� and the gorgeous ballad �Mockingbirds,� Grant Lee Buffalo never got the recognition everyone expected. After four Buffalo albums were critically beloved but did not seem to catch on, Phillips requested his release from his contract and decided to work as a solo artist. His first solo album in 2000 was Ladies� Love Oracle. He has since recorded Mobilize (2001) and Virginia Creeper (2004) � all of which have received the kind of critical adoration that used to accompany his old band, but without all that next-big-thing pressure. Now, Phillips feels perfectly comfortable doing small concerts around the country, sharing the driving to the shows with his drummer and setting up his own equipment. 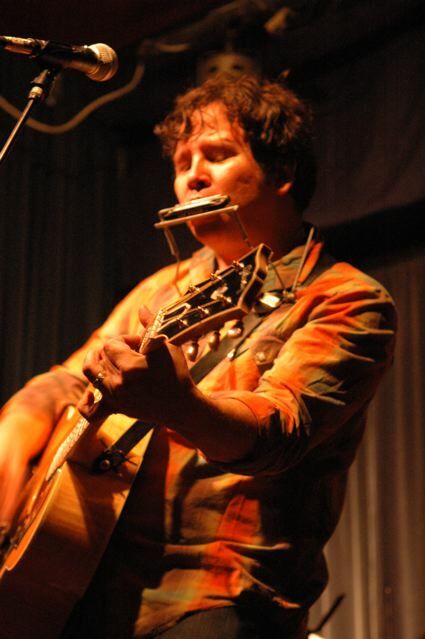 He no longer has any interest in playing the future rock star, his life is more like that of his fun side project; doing regular cameos on the popular TV series Gilmore Girls as The Stars Hollow Troubadour. 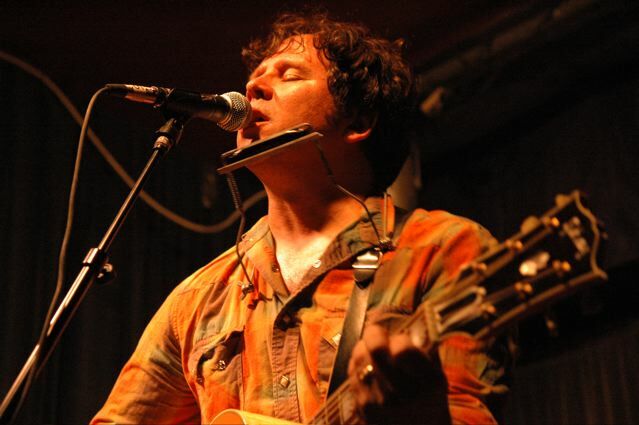 Phillips� latest album is something of a departure for the renowned songwriter. On nineteeneighties, Phillips deconstructs eleven songs by some of the biggest names in 80s alternative music, including �Love My Way� by the Psychedelic Furs, �so. central rain (I�m Sorry)� by REM, �Boys Don�t Cry� by the Cure, �Last Night I Dreamt Somebody Loved Me� by the Smiths, �Wave of Mutilation� by the Pixies and �Under the Milky Way� by the Church. On the album, Phillips strips back these songs to their acoustic essence � in a way reinventing these seminal tunes. While on tour for the new album, Grant was nice enough to sit down with us to discuss the project and his career. Wow, how did I get into music? Boy, oh, boy, I�ll try to give you the most concise answer. I got a Sears guitar for Christmas. I believe I was thirteen years old. Made all sorts of noises with it. Slept with the thing. Played it non-stop. Then about a year later I learned how to tune it. (laughs) But I had a good year just sort of exploring with it. Learned a few songs, a few covers, back in that first year. What I found almost as immediately as I learned a chord or two, I learned how to write songs. By the time I turned fifteen or so I�d worked up a body of my own songs and was playing them for kids in school. Then that became a pursuit at that time � to put a band together and one day leave my hometown of Stockton and head down south to Hollywood. How did you get together with Grant Lee Buffalo? 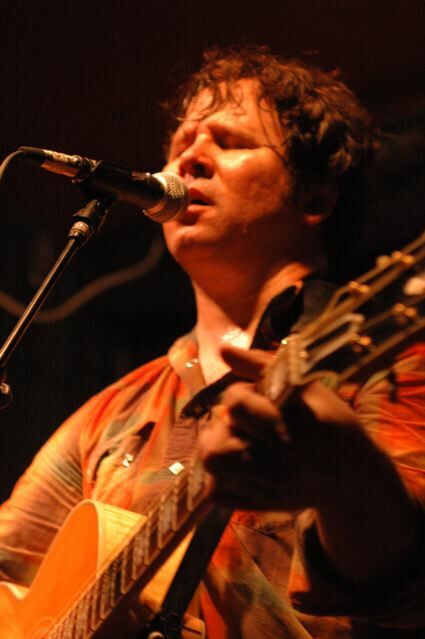 Grant Lee Buffalo came together from the ashes of another band called Shiva Burlesque. That was sort of a glammy, post-sixties psychedelia kind of thing. Influenced by the Doors and William S. Burroughs and all points in between. I wasn�t the singer in that band. I was really the guitar player and a co-songwriter. Along with me there was drummer Joey Peters and later bassist Paul Kimble. 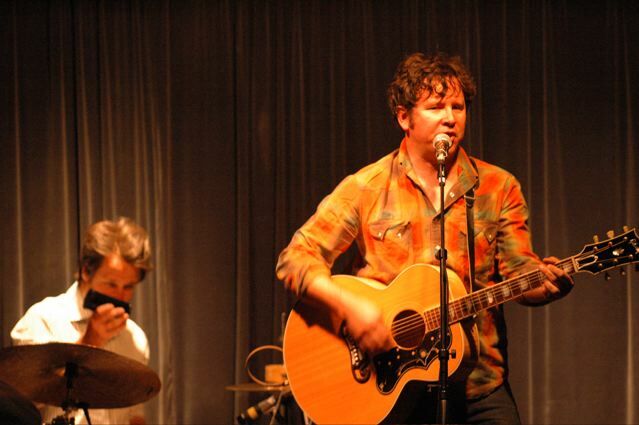 The three of us were the nucleus of Grant Lee Buffalo. When that band � Burlesque � came to an end in the late 80s, there we were. I had again sort of stockpiled a number of songs that never were divulged during the process of the previous group. That�s when I recorded �Fuzzy� and probably fifteen or twenty other songs that ultimately got us signed to Slash Records. 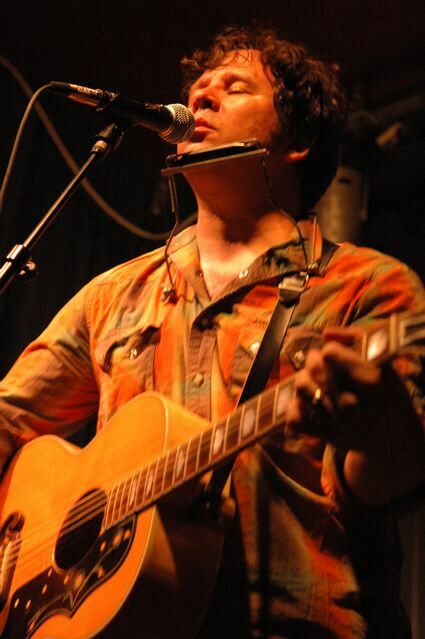 Grant Lee Buffalo released four critically acclaimed CDs. Rolling Stone even named you Male Vocalist of the Year in 1996. Was it frustrating that all that acclaim never really translated to sales? Well, yeah. I can never be exactly sure what exactly the band sold. I mean, obviously it sold well enough that they kept picking up the option for a long while and probably would have continued. It just became quite a different situation for me though by the time we got to the last album, Jubilee, which was the fourth and final Buffalo album. Really, what had started as a three piece was reduced to myself and the drummer. Being the songwriter and the singer, it started to make less and less sense to do this as band to begin with. I don�t know, I think there were a lot of things that were kind of reaching their peak at that point. The label, Warner Brothers, for instance, had gone through five different Presidents while we were there. It was very strange. That�s continued. I mean, I don�t know that Warner's has fared so well, even over the last five years. It�s the kind of thing that I could certainly spend an evening pondering all of it, but I don�t know how far I would get in terms of coming up with real answers. Why a band hits the big time or not� I think for an artist like myself it�s almost as though it�s a better thing to stretch it out. Longevity is perhaps a much better reward. The fact that I�m playing music today. A lot of those that were signed to Slash and Warner's and other labels at the time are no longer playing music these days. For me, it kind of goes hand-in-hand with living. I guess because I always had heroes that took their music with them, you know? People like Willie Nelson or � a lot of the country guys, actually. Or some of the original bluesmen. I�ve seen Lightning Hopkins selling his own records sitting at the edge of a stage here in Chicago � it couldn�t have been twenty years ago. Those things made an impression on me. That it�s not always about the radio game. That�s one little piece of the puzzle. Sometimes it�s a very large piece of the puzzle, but it�s not the only one. You have now released four solo CDs. How is working with a smaller label like Rounder different than a major like Slash/Warner? The situation with Zo�/Rounder is good for an artist like me because they have the plumbing laid out to get the albums. Where they need to be � which these days has become more about the internet than the record stores, I�d dare to say. Record stores are struggling. But they print the records up. They hire the publicist. They distribute them. All of that machinery which I could take on by myself, but it does defuse some of my energy to do all that. There�s a great deal of freedom working with a smaller label. It�s easier to get from point A to point B. Here are your marching orders � all you have to do is go right down the hall and drop this CD off. (laughs) Sometimes that becomes a lot more convoluted at a large corporation. You can kind of see it in all walks of business. I think it�s certainly true of the record industry. It's weird, but with all you've done, now you may be best known as the Stars Hollow Troubadour. How did you get involved in Gilmore Girls? (laughs) You know, the Gilmore Girls thing is a real treat for me. It�s something that developed because Amy Sherman-Palladino and her husband Daniel were fans of Grant Lee Buffalo�s and fans of mine. They had been coming to the shows in Los Angeles and simply asked if I�d be interested in making a cameo on the show. I did and we hit it off really well and it kind of snowballed from there. I�m not a constantly recurring character, but I�ve been on the show some thirty times. Sometimes it�s a case of strumming a song underneath a streetlamp. (chuckles) Sometimes I have a bigger chunk to pull off, lines and all that stuff. It definitely allows me to use some acting muscles that I might not normally use. The troubadour sometimes plays acoustic versions of old songs � I remember you once doing �Wake Me Up Before You Go-Go� � did that sort of inspire the new album, or was this an idea you�d been toying with for a while? (laughs) I hadn�t thought about that, but you know, it�s a possibility. That was a request of theirs. They sort of timidly called me up and said, �Do you think the troubadour would cover �Wake Me Up Before You Go-Go?�� (laughs) After I picked myself off the floor from choking in my own laughter, I said, yeah, sure. So we went for it. They�ve been known to challenge me a few times with that kind of stuff. The covers record kind of came out of doing little trips by myself, acoustically and sitting in the hotel room and working out the chords to �Under the Milky Way� so that I had something new to throw into my set that night, just for the fun of it. I�ve always loved that process of taking songs apart and seeing how they work. For every song that I learn how to play, I tend to write three other songs. It�s a bit like that axiom; the more you read, the more you write. As a respected songwriter, is it at all weird doing an album that�s entirely other people�s work? No, it�s really just a very satisfying pursuit. It allows me to tackle songs as I would my own, but relieved of laying my heart on the chopping block � whatever it is that I bring to the plate. I think you find that your thumbprint and your choices are evident in other ways. Song selection and how you deal with those songs. I�m currently working on another album which I perceive coming out next year. This was just something that was fun to do, something I�ve wanted to do for some time. As time goes on, I�m going to be much more apt to leap into the fire when on a whim. That�s sort of what this album is. It�s very whimsical. High time to follow that path. It�s a bit too self-conscious and safe in our business. You also didn�t necessarily pick the obvious songs in any of these band�s catalogues � for example most people when they think of Joy Division think of �Love Will Tear Us Apart� or �She�s Lost Control� and you did �The Eternal.� While �So. Central Rain� is an amazing song; it�s not the first thing people think of when you mention REM. How did you decide on the songs and were you determined to mine deeper into the songbooks? You know, again, it�s just these are the songs that leapt out at me, that kind of struck a chord with me most. It�s probably always been the case. Back when albums were two sided, I probably always had greater faith in the back side of the album. I kind of realized that�s where the real diamonds are hidden. Eighties songs are known for their production � even indies like you have chosen, things like �Boys Don�t Cry� or �Age of Consent.� How do you think a cut-down acoustic background adds to these songs? Yeah, you�re right. I realize the production was so much a part of that era. Even so with the alternative stuff. Through my extracting the song from the production and the style, you would hear the song in a new way. That was my hope. You would hear the lyric. You would get a sense of the chord changes and have a more intimate exchange with the song. So for the most part, I simply went about removing parts. Subtracting, you know? Only in the case of Robyn Hitchcock�s �I Often Dream of Trains� did I take a sort of opposite approach, because Robyn�s work is typically more minimal. It was a good exercise. I have a hunch that it has already affected me in terms of my own production and how I think about my own songs. Sometimes you find perspective when you�re not looking for it by doing this type of thing. How do you think bands like The Pixies, the Smiths, Echo and the Bunnymen and others you have covered here have influenced today�s bands? Oh, goodness. Quite a few bands are vocal about this, how they have been influenced. You can certainly hear it, even if they weren�t willing to cop up. You hear shades of the Fall in the Strokes. You hear the Buzzcocks and other things in Franz Ferdinand. I think there�s a whole generation of newer bands that obviously have pretty cool record collections. Thank God, because they could definitely been equally influenced by Michael Jackson. And not the good stuff. One thing that is great about the alt bands of the 80s is that they weren�t afraid to have a tune. A few years ago it was something of a sell-out for a rock band to have a melody. Why do you think the world is so ready for more melodic rock? Yeah, you�re right. That�s really true. I think there were a bunch of bands because � I don�t know, I guess the time they grew out of � some of the post-punk bands were actually quite tuneful and were trying to figure out how to cram it all into that format, but really pushing the envelope. The Buzzcocks are certainly the ones that come to mind. They�re so darn tuneful. Really energetic. And the Pretenders. There�s a long list of them. I think it�s very idealistic, that notion that you can offer the public something quite different and you have faith that they are going to get it. I think too often labels and radio promotion have a way of short changing the listening audience. So everything kind of occurs at a snail�s pace. Things get signed because they sound exactly like something else. Things get played because they sound a bit like this or that. No real willingness to throw the dice. It�s got to change. I think the internet is probably the new frontier in that way. In the songs you chose for the album, when the songs turn to love, a lot of the relationships are in trouble or dying like in �Age of Consent,� �So. Central Rain� and �Last Night I Dreamed Someone Loved Me.� As a singer and songwriter, do you find sad songs more interesting than happy ones? Hmmm� Well, you know, yeah. I guess. It�s not essential. I don�t believe at this point that tragedy is essential, but it�s certainly a part of the human condition. It�s something that we turn to music to help us to sort out. But, I think it�s often a harder thing to put across. The feeling of bliss or (laughs) all of the wide gamut of emotions. I think music, for me, was often something that I turned to for a solitary fix. For support. Endurance. For sure. As a writer, I feel like it�s been a challenge to overcome that; to not identify with tragedy and melancholia alone. There�s so many different colors outside the window. They�re all there for the taking. Interesting, though [for the songs chosen on the album], I think that as detached and Reaganized as the country and the world was, it was a depressing time [in the 80s] as well. I think all the bright colors and the day-glo and everything becoming plastic that was shoved in your face in the 80s was sort of masking a much more quiet state of crisis. I think this music is probably the document of that. Well, Tori Amos, I�ve only seen her perform live on television. (laughs) I�m by no means an aficionado, but she�s quite electric as a performer. Tom Waits, come to think of it I�ve never seen him live other than a few televised performances and films, but I love his records and his records I do know quite well. Interesting. Both of those that you have sited are very theatrical. Conscious of offering a certain kind of angle. Oh, yeah, it�s not my choice. (laughs) It�s just my brain working. It kind of also smells like burning toast in the room when I�m doing it. Yeah, I mean, Waits is a big influence. 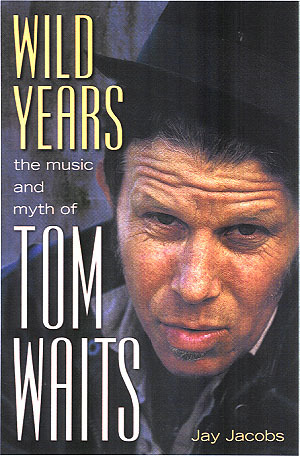 I hear the influence of Tom Waits in so much alternative music that you wouldn�t even think of. Eels, for instance, you know? Largely influenced by Waits. I think probably some of Aimee Mann�s albums are influenced, in terms of expression. Patrick Warren, I would guess he must be influenced in some way. The cool thing about Waits is that he really sort of just took a hard left turn. Like a bat-turn. Just went (imitates screeching tires) into a different direction. I think probably that excited me more than anything when I first heard Raindogs. It�s one of the things I still think about. How do we want to deal with these drums? Do you want a good drum sound or do you want to have some fun with it? Let�s really think about it and a lot of that can be accredited to a record like Raindogs. In the end, how would you like people to look over your career and your music? Interesting� I guess I would choose to offer up a body of work that can be pondered for a long time. Something to chew on that will last. Just as you�ve gotten to the end of your Slim-Jim it�s grown another mile. (laughs) A never-ending Slim-Jim. The most jerky of jerkies. Any misconceptions? Hmm� I hope not. Not that I know of. But it�s early in the day. #1 � 2006 Jim Rinaldi. All rights reserved. #2 � 2006 Jim Rinaldi. All rights reserved. #3 � 2006 Jim Rinaldi. All rights reserved. #4 � 2006 Jim Rinaldi. All rights reserved. #5 � 2006 Jim Rinaldi. All rights reserved. #6 � 2006 Jim Rinaldi. All rights reserved.